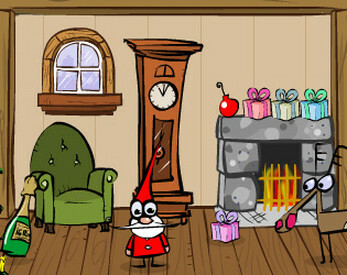 Help Santa find the New Year, it seems that kid got lost somewhere again! This series of games is basically me thanking all the people who play my games and support my creations each year. So it's more of a Thank You card, than a full-sized game. It's a long standing end-of-year tradition by this point. Please don't hold it's shortness against it. No installation needed, it's a standalone game. Just download and unpack it. A fun and cute game.